Add some fun to learning about letters of the alphabet, numbers, and colors with this group of Toys and Games Preschool Theme Activities. 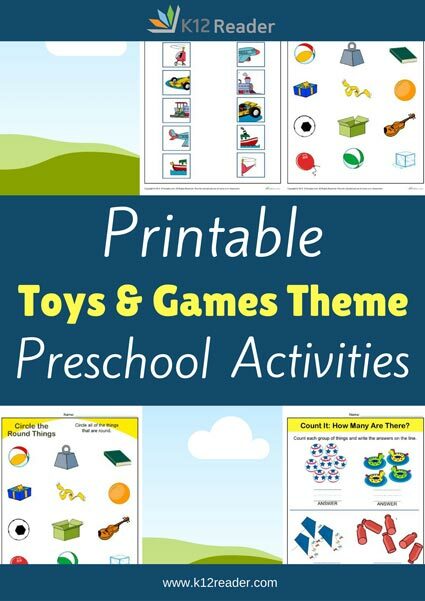 Students will enjoy counting the toys and completing games, along with a fun coloring page, as they work their way through these printable worksheets. This group of helpful activities is made easy to print, which makes them a great resource for use both at home and in the class!